The SV-38R combines the fast processing ability of a traditional platen type sliding head lathe with the flexibility of a turret machine. The main spindle benefits from a gang type tool post and an 10 station turret to enable simultaneous machining operations. 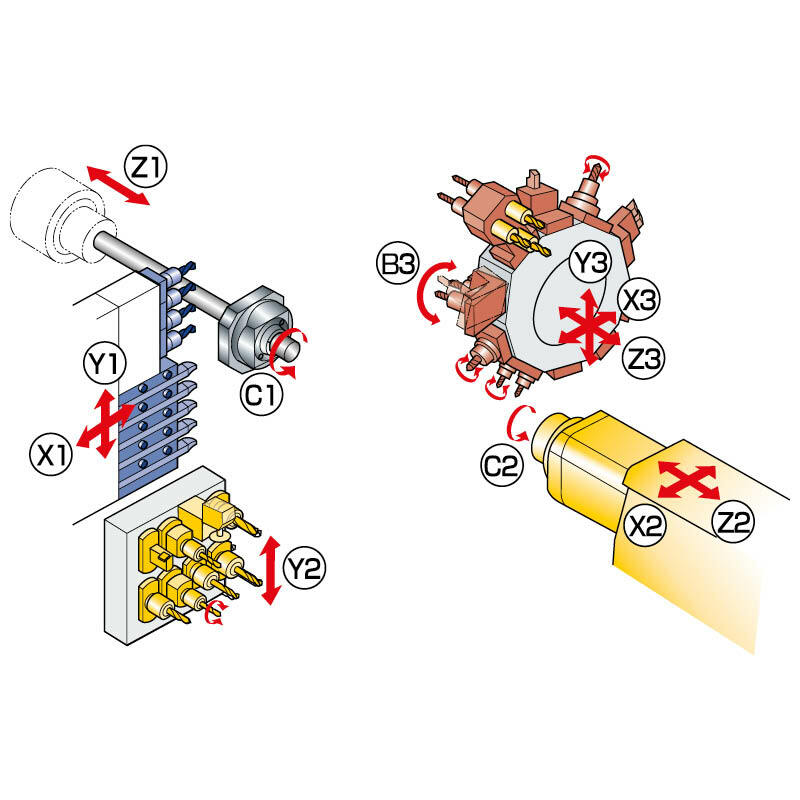 The turret includes an independent Z3 axis, this axis allows two different features to be machined simultaneously (Z1 + Z3) using Star’s “super-position” control mode. Fanuc’s high specification 31i-B5 control delivers full five axis capability enabling highly complex components to be processed. The B-axis tool holders on the turret enable angular features to be machined on both the main and sub-spindle. The flexibility of the STAR SV-38R is further enhanced by its ability to switch between guide bush mode (Swiss type) and non-guide bush mode.